The on again, off again Violent Femmes will perform at Summerfest 2013, headlining at the Marcus Amphitheater on June 26. Also on the bill will be The Avett Brothers. Femmes Summerfest tickets are on sale April 12. This year, the Femmes will move from a free stage to the big time. Will they fill the 23,000 seat Marcus Amphitheater? That's a pretty big venue for a band that hasn't made an album since 2000. One would suppose that their debut album (the only one to go platinum,) could carry the day, and bring in thousands of fans. The fact that they tend to draw well in their home town is also a plus. The highest charting album for the Femmes was their 1986 release, The Blind Leading The Naked. That one topped out at #84. This is why some folks wonder why the Femmes are taking the top spot during Summerfest. 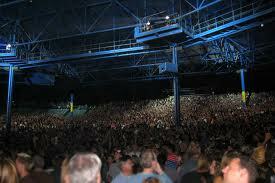 Most times, you will see the band (when they are not on hiatus,) performing at local state fairs and 1500 seat theaters. You can find tons of funny, quirky self promotion (and a bit of name dropping,) here on their band page. The Avett Brothers are a band that hasn't taken a break since their debut in 2000. Their last two albums have gone top 20, and will surely bring the fans into the Marcus Amp. They continue to support their 2012 effort, titled The Carpenter. The band is putting together a beefy 2013 tour, playing southern venues this month. They will also perform at Somerset Wisconsin on June 29.